Alive Publications is pleased to announce their acceptance of the Book of the Year Award for 2015 in the category of Bible Study/Theology by the Christian Small Publishers Association. The book awarded is The Praying Church Handbook – Volume II, Personal and Family Prayer. Founded in 2008, Christian Small Publisher Book of the Year honors books produced by small publishers each year for outstanding contribution to Christian life. Books are nominated by the publishers and voting is open to Christian readers, retailers, and publishing professionals. 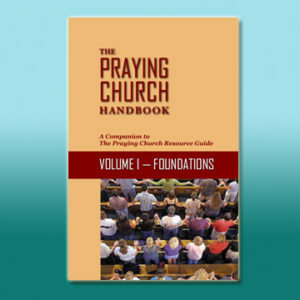 The Praying Church Handbook – Volume II, Personal and Family Prayer is a collection of substantive reflections on prayer. Topics include: intimacy with God; humility; prayer as presence; the Bible as a prayer book; fasting; prayer as a life skill; prayer in your family; salvation of your children, and the missional family. Editor P. Douglas Small serves as the Coordinator of Prayer Ministries with the Church of God; and President and Founder of Alive Ministries: PROJECTPRAY. His desire is to serve congregations by assisting them in making prayer the heartbeat of the Church. He coaches churches of various denominations in the area of prayer ministries, offering Schools of Prayer and Prayer Impact weekends. He is the founder of the Praying Church Movement. He has authored a number of books and studies on prayer, and other topics. He is a member of America’s Prayer Committee and serves as a member of the Denominational Prayer Leaders Network. He speaks to diverse groups on prayer and spiritual renewal. His passion is to see a Great Awakening come to this nation. Other contributors to the volume include: Dr. Mark Williams, Joann Garzarella, Edgar R. Lee, Pastor Ron Auch, Pastor Carletta Douglas, Kathy Hamon, Dr. Bill Bright, Ester Calderon, Dr. Herbert Seals, Debbie Salter Goodwin, Pastor Mark Hisle, Pastor Ron and Margaret Lackey, and Susan E. Isaacs. It’s really a great and helpful piece of info. I am happy that you shared this helpful information with us. Please keep us up to date like this. Thanks for sharing.